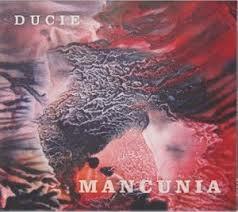 A look at albums we have written about in 2013 – here’s Ducie and the 2013 release ‘Mancunia‘ taken from Irish Music Magazine. Funky beats and driving rhythms are the core undertone in what is a fascinating flavour of diverse genres infused with a traditional melodic flair in Mancunia, the new release from the Manchester based collaboration; Ducie. Ian Fletcher, Andy Dinan, Rich Sliwa and John Thorne use a heady mixture of percussion, bass and modern sound to freewheel around a range of traditional and world influenced instrumental whilst remaining a tight knit force within the boundaries of the ten tracks of pure quality. With the high calibre of guest musicians in the form of Paddy Kerr, Eamonn Dinan, Parvinder Bharat, Troy Donockley, Michael McGoldrick and Kavan Donoghue, the sets take on a life of their own as each musician is given the freedom to experiment and shine, each adding a layer of quality sound that seamlessly fuses. Dive straight in to The Fox set which encapsulates all of the above. Layers of staccato string beats and samba rhythm introduce Tony Sullivan’s Dr Gilbert’s reel which is driven by Dinan’s fiddle and a cohort of expert strings into an energetic fervour that freestyles along throughout The Fox and Sully’s No 6. Eamonn Dinan’s box is transformed into a swinging reggae stepper as he joins the swinging beat to introduce the Griannán Bear It set. The slow air Song of the Strings showcases the musicianship of the strings as the focus is on the fiddle as it emits a poignant, emotive sentimentality. It’s Sunset Barmaid that’s a standout for me; the lads are joined by Michael McGoldrick on flute to perform a re–arranged version of Tony Sullivan’s The Roaring Barmaid. A great tune to listen to at the best of times and the fresh approach to the treatment of timing and phrasing gives you pause to listen and enjoy in a totally different way due to the fantastic use of creative expression. The guys have managed to take the best of their world experience and skill and allow a freestyle frenzy of sound to emerge in altruistic fashion. Who said music has boundaries? Not Ducie.